These hooks are ideal for hanging plants and other heavy items. 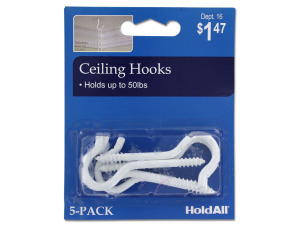 Pack of 5 hooks; each hook can hold up to 50 pounds. Full instructions are included for using these with wood studs and exposed wood beams.